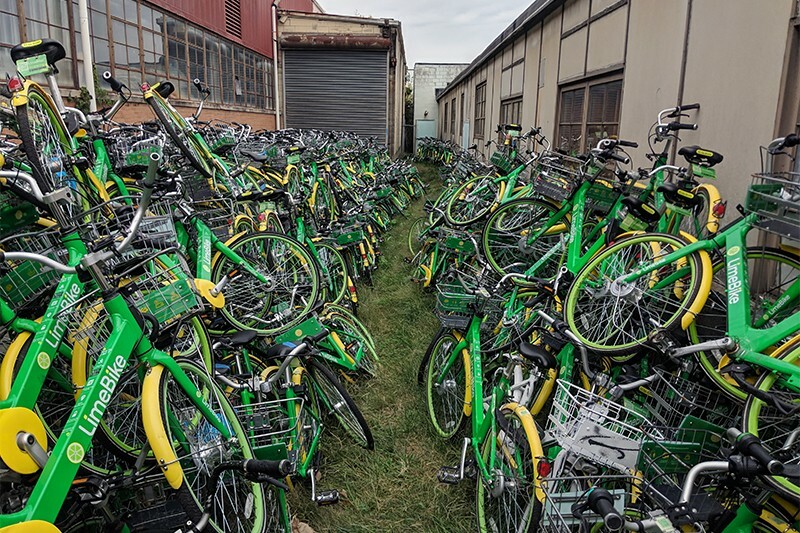 This isn't a bike graveyard, Lime insists, but more of a hospital waiting room. 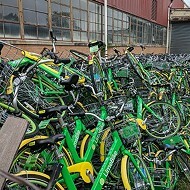 The recent shortage of Lime bikes in St. Louis is nearly over, as the company now says a critical shipment of parts will allow its local staff to repair its fleet of broken bikes at long last. 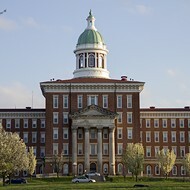 Those parts are set to arrive here next week, according to a spokesman. In September, city records show, St. Louis was down to just 200 ride-share bikes — a dramatic decrease from the 1,500 here in July. And while city officials can't break down the number of bikes per company, as that data is proprietary, it's reasonable to assume that all 200 bikes are Limes. 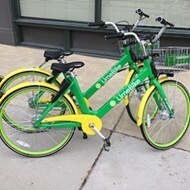 It's now the only bike-share game in town. Much of the problem: damage. St. Louisans can be pretty rough on bikes. 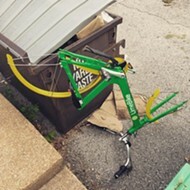 Earlier this month, the mayor's office claimed that as much as two-thirds of St. Louis' Lime bikes were too damaged to ride. 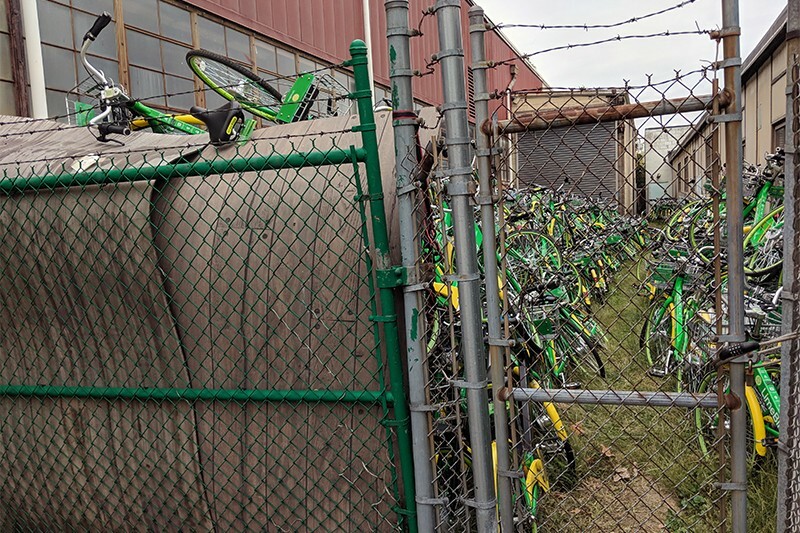 While waiting for parts to fix them, the company stashed hundreds of bright green bikes behind what was once a lacquer manufacturer in Dogtown. 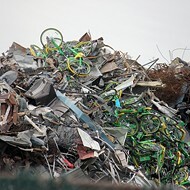 On Thursday afternoon, the bikes could be seen peeking over a fence, as if trying to escape a mass grave. Beyond the fence, a walking path separated two vast green bicycle mountains. 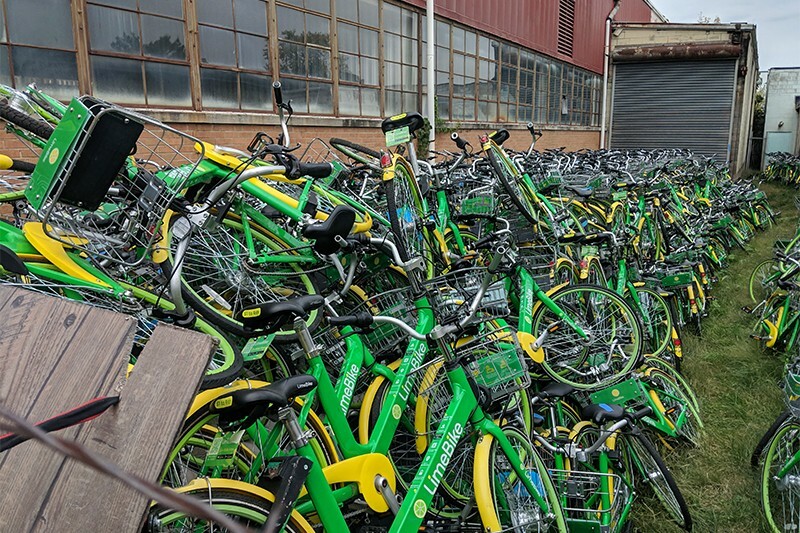 "Those bikes are not junk," says Lime spokesman Adi Raval. "Once the parts are there, we will be able to fix them." And in the mean time, we've enjoyed a glut of scooters on the streets. 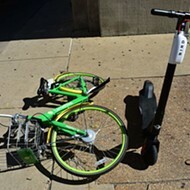 Lime's scooter service launched in July, and the scooters have been way fun (and also pretty rough on the St. Louisans who ride them). 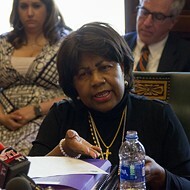 Raval declined to get into specific numbers of bikes versus scooters, but he did acknowledge that the company had to adjust its supply of vehicles to St. Louis while the bike parts issue was sorted out. "We did increase the number of scooters," Raval says. "When the parts will come next week, and we get the repairs implemented, then the balance will go more into the favor of bikes." Raval pointed out that that the company is not eyeing a fixed ratio of bikes to scooters; rather, Lime is hoping to adjust those levels based on the public's preference and feedback. 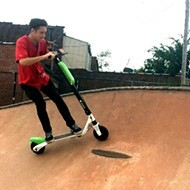 In the mean time, St. Louis has embraced the scooters — the St. Louis Post-Dispatch previously reported that in August some 80,000 scooters were rented, compared to 15,000 bikes. 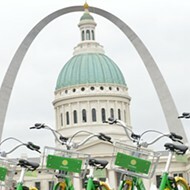 Another factor in the dearth of bikes was the August pull-out of bikeshare competitor OFO, which yanked its St. Louis service in the midst of a multi-city retreat. 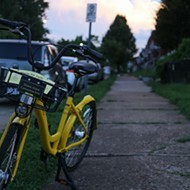 Hundreds of OFO bikes appear to have been lost along the way, with the remaining bikes donated to a local non profit. But that's not the case with Lime, or at least not yet. The repaired bike fleet is expected to operational in a matter of weeks — just in time for winter.